If you’re looking for a way to exercise your course-building skills, you might have heard us talk about the value of deconstructing and rebuilding finished e-learning projects. Another way to practice your skills is by rebuilding static infographics as interactive graphics. 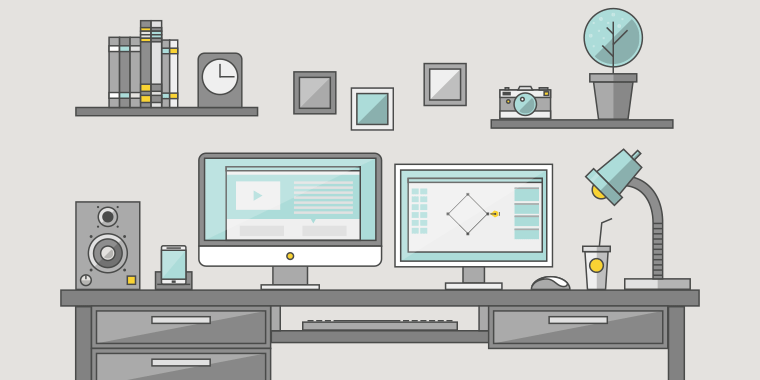 Infographics and e-learning have a lot in common. Both are great sources of data and visuals that you can use to build your interaction. Check out this example Articulate Super Hero Phil Mayor built during the first Storyline beta. Here’s the original infographic and Phil’s interactive makeover. You can use Articulate Storyline, Articulate Studio ’09, or Articulate Studio ’13, to show and share your interactive graphic. Many infographics are taller than typical e-learning projects. 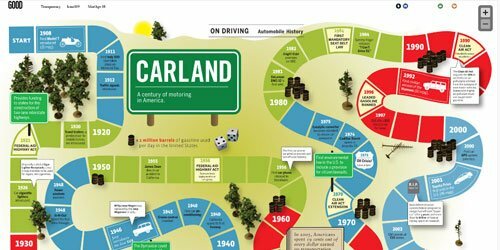 What are some ways you can adapt taller infographics into shorter, wider interactive graphics? Is there a way you can enable learners to sort or rearrange the content? Common sorting methods: Alphabetically, numerically, category, date and time, and random. Which information can be turned on and off? Where can you zoom in and out of information? How can markers, tooltips, and callouts help reduce clutter and enable learners to pull information? How can you hide and reveal some of the information to emphasize different types of information? 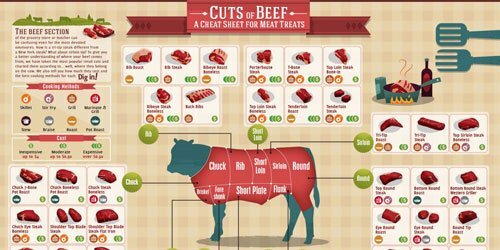 Could the infographic be used as a course menu? Here are a few ideas to get you started. Feel free to tackle one of these infographics or work with one that’s more targeted to your company or personal interests. Jeff Kortenbosch shared a kicked off the challenge with a graphic novel-inspired scenario interaction. Be sure to take a look at the free comic layouts Jeff used in his demo. Awesome example, Jeff! Paul Alders shared page curls and animated transitions to show how Articulate Storyline helps you build engaging learning experiences. Great demo as always, Paul! Yewande Daniel-Ayoade shows how to teach SAP using comic book designs. I really like how she maximized limited clip art graphics in this project. Thanks, Yewande! Lawrence Williams resurrected one of his first Articulate Studio projects and leveraged some Storyline sweetness to create this storytelling demo. Great job, Lawrence! And thanks for sharing your source files. Nancy Woinoski shared her first Storyline project. Custom illustrations, drag-drop interaction, and storytelling make this a must-see project! Cary Glenn shared free PowerPoint and Storyline templates from his Manga style demo. Thanks, Cary! Have an interactive week, E-Learning Heroes! Nice one David! And under all that time pressure ;-) It was great having you at our annual Articulate user day again! Great job, Jeff! I love that you changed the character's states for each marker. You've motivated me to jump into this one. @Jeff - what a simple yet elegant example. 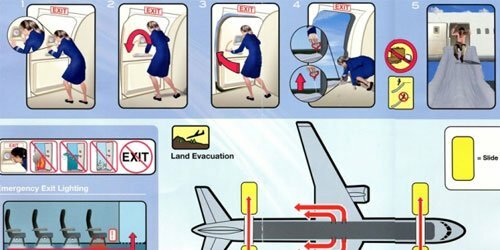 I like how you worked the general design of the infographic into your interactive example... Perfect use of Storyline's markers: http://bit.ly/1egEeyn Hrmm, I wonder how our Studio '13 users could build something like that... Is it possible? @David: You mean like this: https://googledrive.com/host/0B5YJfqKOfGphYlVOZ0R4c1pYM0E/ 100% Articulate Studio Alternatively you could use the Engage interactive markers on a transparent background, but I wouldn't be able to do state changes of the character. Nicely done Anna and you too Paul. Paul, I didn't create those images. Did you see the two links source of my inspiration? I'm not a creative person, I'm a "copiative" person. @MARK, I LOVE this! Do you mind sharing the sources files? This approach is the perfect solution to my project. I'm thinking your markers are actually "homemade" buttons and then the bottom of the screen is triggered layers? Kelly, it looks good! Glad I could help with the inspiration! Great demo, Kelly! I really like the layout. Thanks so much for sharing. Ana - One thing I really like in your example is the way you pulled from multiple sources to create your interactive. You found useful data in one source and interactive elements in another source. Also like the way you enabled learners to drill down into each country. Storyline doesn't have the dynamic scrolling option like the map example, but your use of layers to zoom in on countries achieves the overall effect. Thanks for sharing your ideas and source files with the community. Great post Mark, I like the interactive elements you used. Nice job Kelly, I agree with David, also want to mention the color palette that you've used. Great! Thanks all. I have to give credit to Tim Slade as well as Mark. My template for my course is based on his Flat design. I guess my emulation of other's work is a bit shameless. :-) I couldn't imagine not having this community! The color pallette is our company colors. I LOVE this idea. Dang it. If I had time I'd be trying this right now!! This is a really cool and meaningful project. Thanks for sharing. You're amazing, David! The shrinking cig effect was a nice touch. Thanks for jumping into this one and sharing your creativity with us. You know, that shrinking cig effect might make a really good Screenr... How'd you do that?